Barcelona rekindled their LaLiga title hopes with Sunday’s thrilling 3-2 win at the Bernabeu and can really turn the heat up on Real Madrid by beating Osasuna. Victory over the basement dwellers at Camp Nou would send Barca three points clear of Real, who then play Deportivo away immediately after this match. Lionel Messi and Co now have their tails up and we’re taking 6/1 for 4-0 as the first of our Barcelona vs Osasuna betting tips. 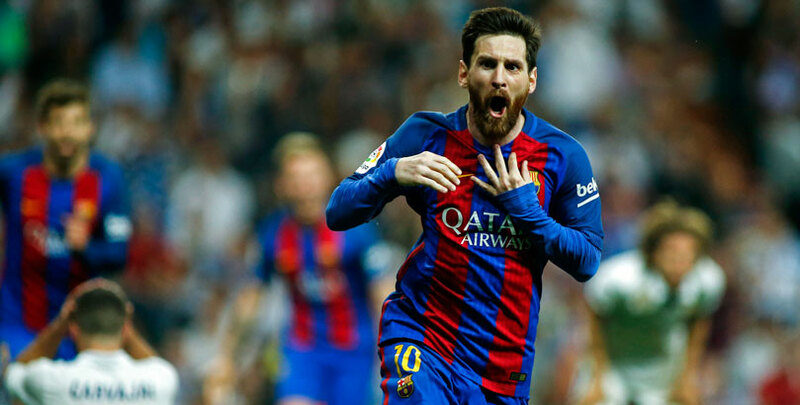 Messi ended a barren run of six Clasico matches in incredible fashion over the weekend, with his brace including a superb stoppage-time strike which stunned the Real fans and gave him 500 goals for Barcelona. Messi also enjoyed a double strike when Barca won 3-0 at Osasuna back in mid-December and he hit a hat-trick when the visitors took a 7-0 hammering on their last visit to Camp Nou three years ago. Messi can be backed at 9/5 to open the scoring on Wednesday. Osasuna have actually just enjoyed their best spell of the season, claiming back-to-back wins over Alaves and Leganes earlier this month and drawing 2-2 with Sporting Gijon on Saturday. However, in between those results there was also a 3-0 defeat at Atletico Madrid and anything other than a convincing loss here would be a surprise for a team which has been beaten 11 times on the road this term. Osasuna did pull off a shock 1-0 win at Camp Nou in May 2009 but six subsequent trips there have all ended in defeat, with 28 goals conceded and just one scored. Messi scored four times in a 5-1 romp in January 2013 and netted three more in an 8-0 rout in September 2011, so 3/1 he hits a treble or better here will attract support. Head-to-head: Osasuna 0-3 Barcelona, Barcelona 7-0 Osasuna, Osasuna 0-0 Barcelona, Barcelona 5-1 Osasuna, Osasuna 1-2 Barcelona.